NITC offers certifications that are crucial to the operation of a hospital or medical center. The American Society of Sanitary Engineering (ASSE) developed the Series 6000 Standard for medical gas systems personnel. From the time it was introduced, Series 6000 has become the industry standard for professional qualification of medical gas systems personnel. The Medical Gas Installer 6010 certification provides municipalities and employers with a assurance that personnel working on the installation of critically important medical gas systems possess the knowledge and experience required to work safely and properly. Certified individuals have shown that they possess a general knowledge of applicable local, state, and federal laws, codes & regulations. 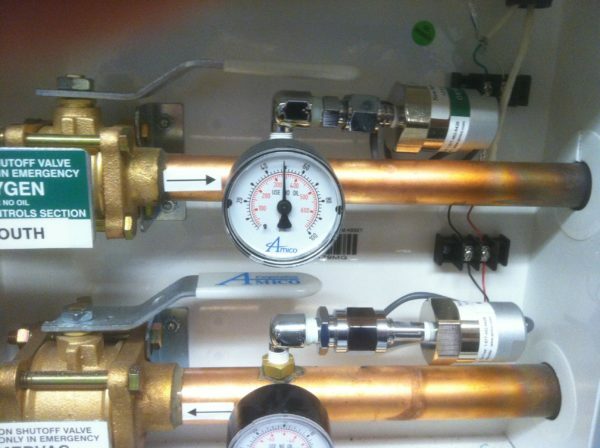 Ideal candidates for the Medical Gas Installer 6010 certification are those who work on the installation of medical gas piping and its related components, including brazers. Administered in accordance with the American Society of Sanitary Engineers (ASSE) and the National Fire Protection Association (NFPA) 99: Health Care Facilities Code, the Medical Gas Verifier 6030 certification qualifies an experienced individual who competently and proficiently inspect and verify medical gas and vacuum systems, along with their components. With requirements similar to the Medical Gas Verifier 6030 certification, the Medical Gas Instructor 6050 is for those who seek to pass knowledge onto a new generation. Administered in accordance with the American Society of Sanitary Engineers (ASSE) and the National Fire Protection Association (NFPA) 99: Health Care Facilities Code, this certification qualifies experienced individuals who competently and proficiently installed medical gas and vacuum systems and their components. Such candidates are expected to have prior teaching experience and must possess a general knowledge of applicable local, state, and federal laws, codes & regulations, along with their respective listing agencies. Candidates seeking any of these ASSE 6000 certifications will want to ally themselves with an organization that has the knowledge and the reputation to properly administer and certify personnel. National Inspection Testing and Certification (NITC) is that organization. Therefore, whether you’re a training director, association representative, employer representative, or an individual applicant, we’ll be there to help you along the way. Contact NITC at (877) 457-6482 to learn more about how our products help prepare the best, most reliable, and safest trade professionals possible through our wide range of industry certifications, all the while helping you exceed customer expectations in the process.